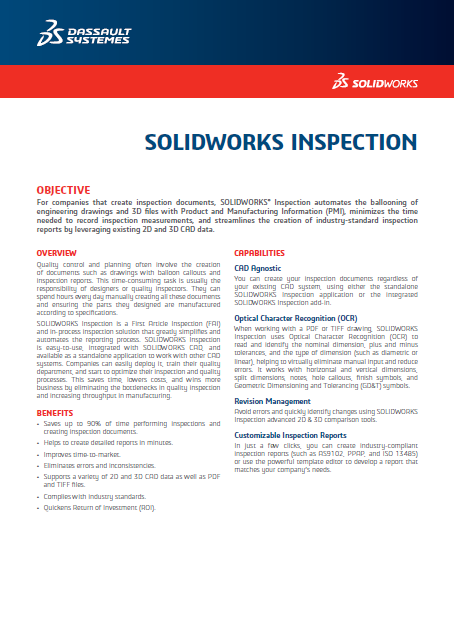 SolidWorks Inspection is a First Article Inspection (FAI) and in-process inspection software that streamlines and automates the creation of ballooned inspection drawings and inspection reports (AS9102, PPAP, etc.). 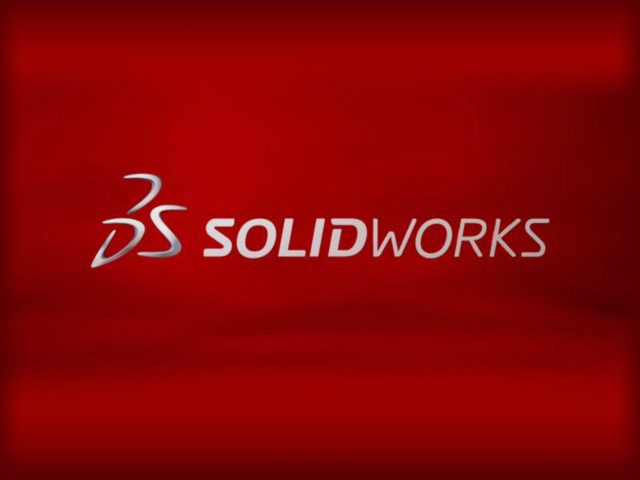 SolidWorks Inspection consists of a stand-alone application and a SolidWorks add-in that enables users to leverage their legacy data regardless of whether they have SolidWorks files, PDFs, or TIFFs. 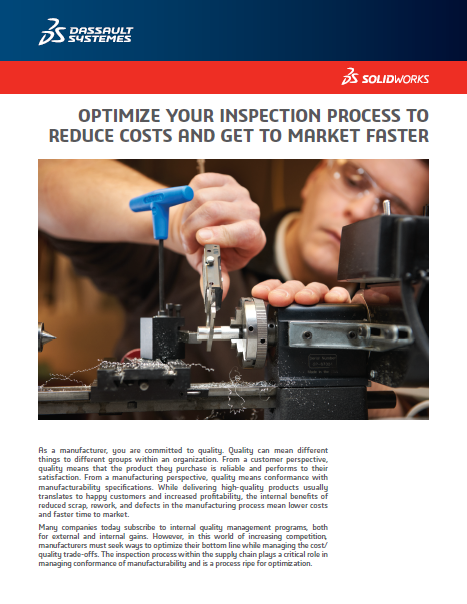 SolidWorks Inspection is a simple and intuitive application that can reduce the time needed to create inspection documentation by up to 90 percent, and helps to virtually eliminate input errors, thus improving quality and reducing time-to-market. 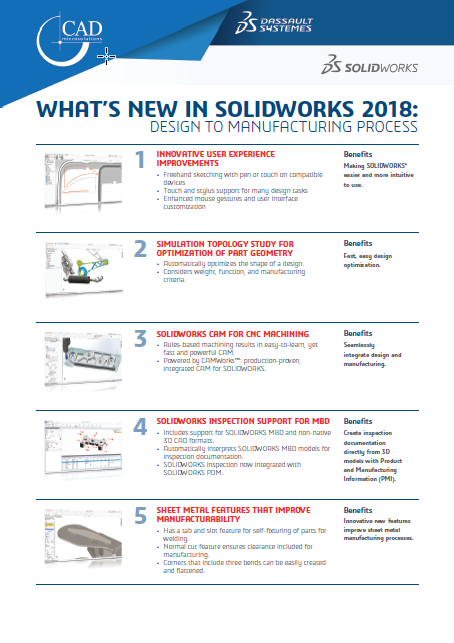 SolidWorks Inspection Professional extends capabilities by giving users multiple ways to enter measured values directly into the project to help simplify part inspection. 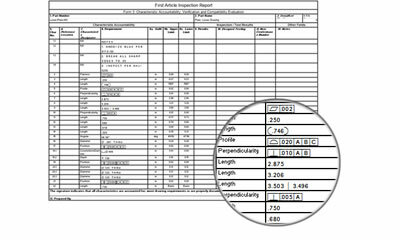 Each characteristic value can be entered manually, by using a digital caliper, or by importing coordinate measuring machine (CMM) results. 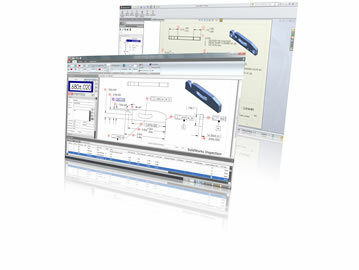 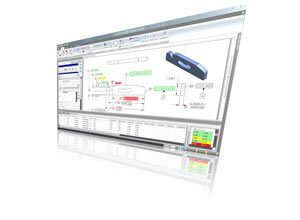 Listed below, are some of the powerful features that SolidWorks Inspection users benefit from. 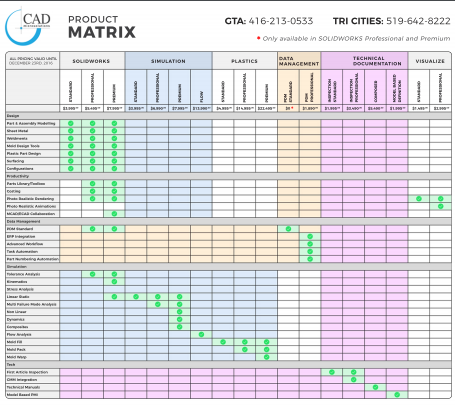 If you would like to know more or have any questions, please contact us.